Get up to 50% discount on your Budapest hotels booking only at Booking.com. Grab the deals before it gone. Checkout the deals and save up to 60% on your Hongkong hotel rooms booking only at Booking.com. Grab the deals before it gone. Mega Deals – Checkout the mega deals and get up to 65% discount on selected products only at Noon KSA. Offer is valid for limited time period. Welcome to the world of amazing deals, breathtaking offers and many more astounding coupons. We at SaversKSA brings to you a hub of options to save money while you buy your favourite videogames, travel to exotic locations, level up your style game, walk in those comfortable and chic shoes and buy all that you have been drooling for long. We help you save your hard earned money through our comprehensive listing of coupons, deals, offers and discounts from various top ecommerce websites. Woojoh, Mumzworld, Emirates Airlines, Almosafer, Ounass, etc. are among the websites listed with us. We keep adding new merchants onto our website on a timely basis. Our utmost priority is customer satisfaction, so for the ease of our customers, we have made the website user-friendly. We understand that not everyone is a tech-savvy thus we bring to you a place which is easily usable by all. 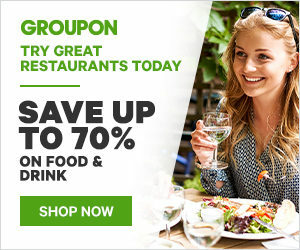 We have wide array of coupon codes available from almost all categories including books, fashion, hotels, restaurant deals, toys, beauty products, baby products, flight deals and many more. All you have to do is search for the website, you are wanting to shop from, on our search box. You will see a wide range of all the deals and coupons available from that particular website. Choose the one that you prefer and enjoy the amount you save on your purchase. You can subscribe to our newsletter to get intimated about all the latest deals and offers directly on your email id. In the world where everyone preaches social media, you can get in touch with us at these platforms too. SaversKSA.com not only helps customers in Kuwait but also renders its services to customers in UAE, Egypt and other parts of Gulf Cooperation Council. Now you can shop more while you save more. Happy saving! !